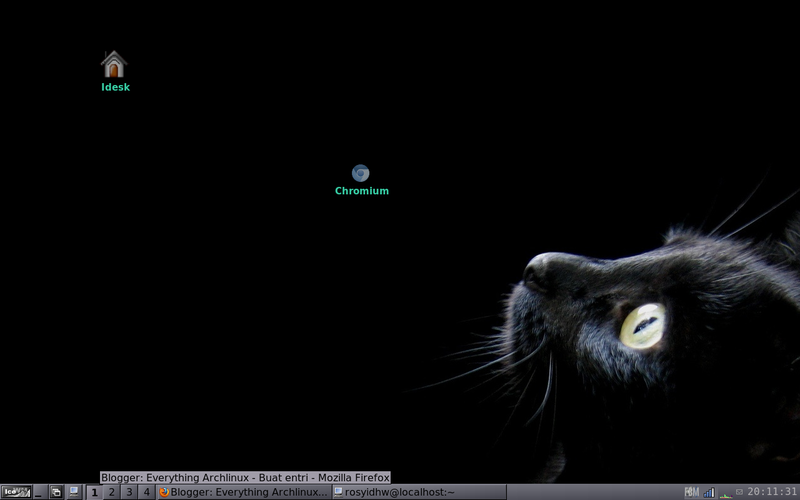 iDesk gives users of minimal wm's (icewm, openbox, fluxbox, etc..) icons on their desktop. The icon graphics are either from a svg or png (vector) file and support some eyecandy effects like transparency. Each icon can be confgured to run one or more shell commands and the actions which run those commands are completely configurable. In a nutshell if you want icons on your desktop and you don't have or don't want gnome or KDE doing it, you can use idesk. Then make this app autostart on WM to run it. 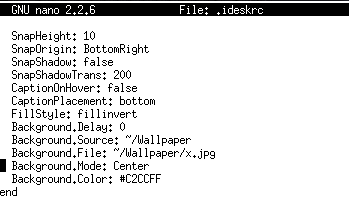 Change source to folder background, and file to background file directly. A simple and easy way. And how about X & Y, leave it same as above, you can move it by using your mouse... ^_^.